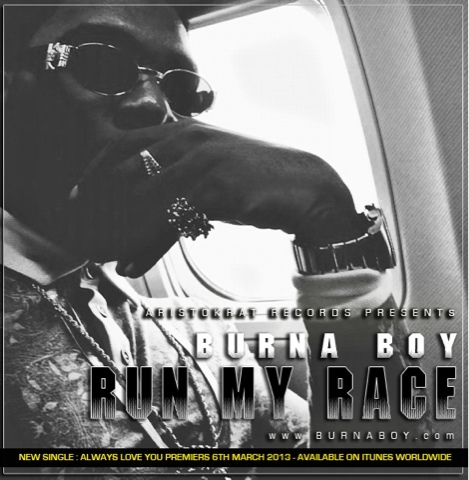 Burna Boy is on the rise to success this year - the 'Like to Party' rapper releases his new track 'Run My Race' right before he premieres his new single 'Always Love You' via iTunes on Wednesday, March 6. Currently signed to Aristokrat Records, Burna Boy is set to release his debut album in the second quarter of this year. Burna Boy is setting some high standards for upcoming artists in Nigeria and throughout Africa with his music. "Make unu follow me run my race, e be like say dey don dey craze!!" Download 'Run My Race' HERE!